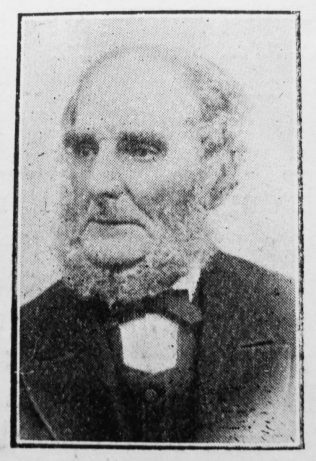 Born at Hamsterley, Durham, June 25th, 1826, John Septimus Henderson was the seventh son of Ralph and Ann Henderson. After serving his apprenticeship as a joiner he entered the employ of Messrs. Stobbart and continued with them, except for a brief interval, till his death. Converted in a revival at Toft Hill under Rev. Peter Clarke in 1855, he joined the church and as Sunday School teacher, Class Leader, and Local Preacher rendered valuable service. Journeys then were long and exhausting but he made them joyfully. For thirteen years he was Circuit Steward of St. Helen’s, Auckland, and faithfully discharged its duties. When approaching eighty years of age he took as many appointments as any Local Preacher on the plan and was welcomed wherever he went. His Jubilee as a Local Preacher was celebrated in 1905, when the circuit presented him with an illuminated address, his portrait, and a pair of gold spectacles. Among his outstanding features were his uniform Christian consistency, maintained through a long life; his attachment to the house of God, so that you could always reckon upon his attendance as a devout worshipper; and the harmony of his home-life with his Christian profession. His children were trained in habits of piety, ministers and good men were his companions and always welcome at his hospitable table. Natural decay suddenly dissolved the earthly house of his tabernacle. His was a beautiful deathbed. Though unconscious to this world, he had visions of God, and to him the invisible appeared in sight while his hands were joyfully stretched out in welcome. A son and daughter mourn the loss of one of the best of fathers. May they and their families meet him in heaven. John was baptised on 25 June 1826 at Hamsterley, Co. Durham. His father, Ralph, was a blacksmith. He married Elizabeth Lister (abt1828-1878) in late 1850 in the Auckland Registration District, Co. Durham. Census return identify three children. John married Mary Vasey (abt1823-1903), a widow, in late 1878 in the Aukland Registration District, Co. Durham. John died on 4 April 1906.